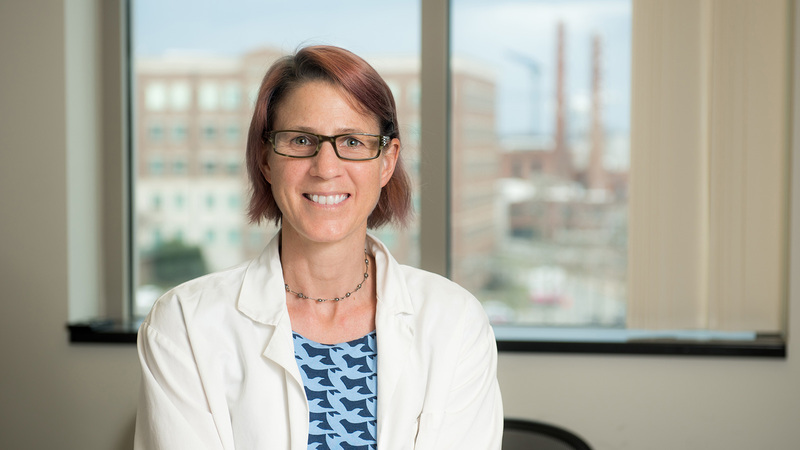 Kylie Kavanagh, DVM, MS, MPH, conducts preclinical research in comparative and molecular medicine, focusing on aging, diabetes, obesity, liver disease and nutrition. She partners with industry to test therapeutics that can help people live healthier lives. After earning a degree in veterinary medicine and surgery from Murdoch University in Australia and working as a veterinarian at a mixed animal practice, Kylie Kavanagh, DVM, MS, MPH, completed a master’s degree in veterinary medicine at the University of Melbourne and a residency in veterinary pharmacology at the University of Illinois. She moved to Wake Forest as a postdoctoral fellow in cardiovascular pathology and joined the faculty upon completion of her fellowship. She subsequently received a master of public health degree in field epidemiology from the University of North Carolina at Chapel Hill. Kavanagh conducts preclinical research in aging, nutrition, diabetes, liver disease and obesity. Her specific research in aging includes heat shock proteins, microbial translocation and interactions with skeletal muscle in aging. In her diabetes-related research, she is interested in obesity, non-alcoholic fatty liver diseases and skeletal muscle physiology, in addition to testing the efficacy of diabetes therapeutics. Her research includes many aspects of nutrition, including various fatty acids, carbohydrates and sugars, in order to determine how foods metabolize and are stored in the body. One of her studies demonstrated that fructose degrades intestinal function, causing negative health impacts. She also investigates how diet and nutrition affect chronic conditions like diabetes and cardiovascular disease. As life expectancy continues to lengthen, healthy aging becomes increasingly important. Kavanagh believes that studying the nutritional aspects of conditions like Alzheimer’s disease, cardiovascular disease and diabetes may increase the prevention of these issues during the aging process. In her research, she pursues the goal of helping people age healthily by eliminating the suffering of aging. Kavanagh has partnered with biotechnology and pharmaceutical companies during her career to test the efficacy of novel candidate therapeutics. These collaborations, she believes, translate into studies with better resources and results, producing research that helps people live healthier lives.